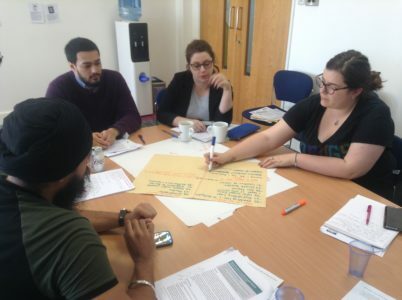 The UCL Beacon School residential programme, for our 2018-19 cohort of schools across England, took place this week in Central London. 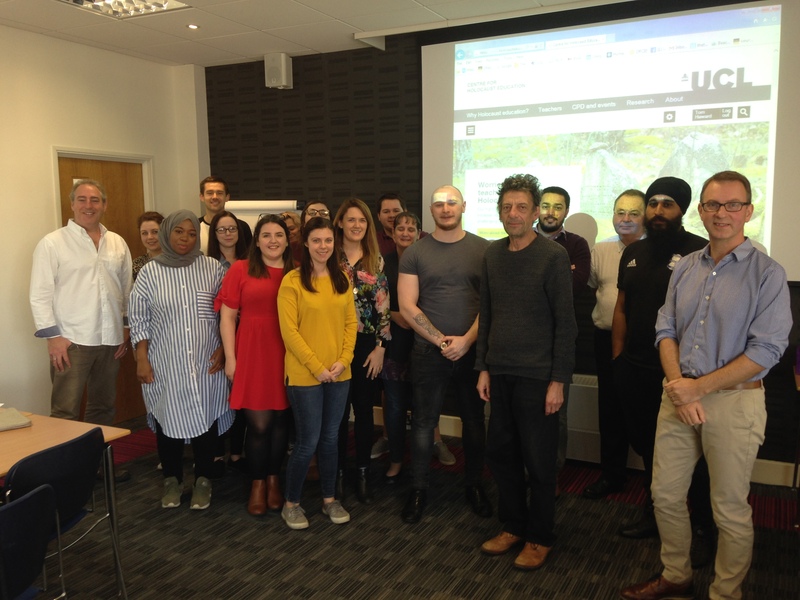 It was an intense, but wonderful 5 days and we’re proud and excited to be working with this inspiring group of schools over the coming year. On Friday 19th October, the 16 schools’ lead teachers and their accompanying SLT representatives met with UCL Centre colleagues at the Imperial War Museum for an Orientation event, which included a visit to their permanent Holocaust exhibition, a workshop and introduction to the programme. We were delighted to welcome a Beacon School alumni Laura Walton from Stratton Upper School who shared her story, outlined the impact of the programme on her practice and on the whole school. 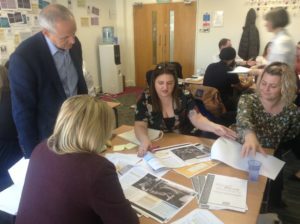 She went onto explain the Centre’s Quality Mark process – and we were delighted to be joined by a representative of the Department for Education and from the Department for Housing, Communities and Local Government. After their SLT’s departure on Friday evening, Lead Teachers remained in London, working intensively with Centre colleagues over four days of workshops, exploring key research informed pedagogy, listening and engaging with guest contributors – Prof Nikolaus Wachsmann and Luke Holland – sharing best practice, and learning from the experiences of alumni Julie Haunstetter (Ursuline High School) and Tony Cole (CSS South, Essex). Centre partners, Sir Trevor Pears and Bridget McGing of Pears Foundation, also lent lead teachers their support as they embarked on this programme – sitting in on a CPD session on British Responses to the Holocaust, as well as a workshop exploring textbooks and classroom materials – whilst also taking time to meet with teachers, listen and learn more about the challenges and opportunities faced in their wide-ranging school contexts. Harrogate Grammar School, North Yorkshire. Prince Henry’s Grammar School, Leeds. St Mary’s Catholic High School, Croydon. St Robert of Newminster, Sunderland. St Clare’s Special Needs Secondary School, Derby. Every year, the UCL Centre for Holocaust Education look to recruit up to 20 secondary schools in England committed to enhancing teaching and learning about the Holocaust. 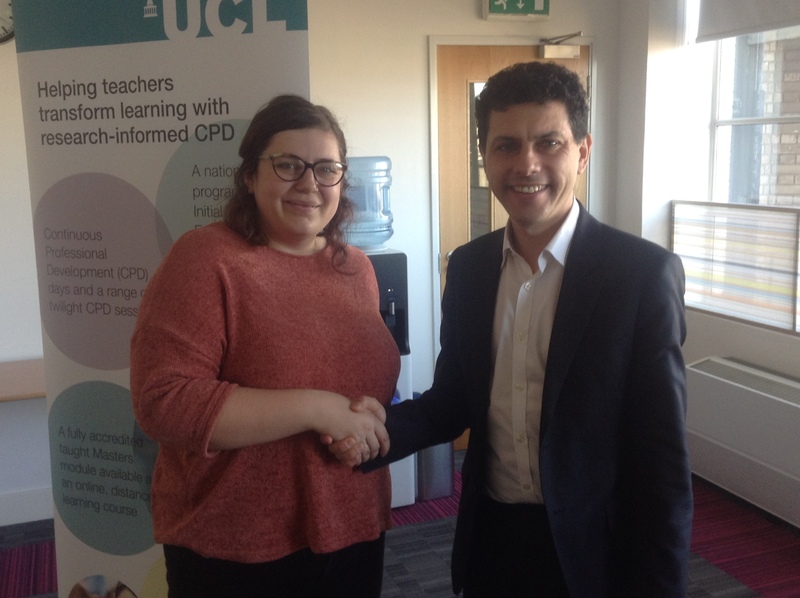 UCL Beacon Schools in Holocaust Education will become dynamic hubs serving a network of local schools and will partner with the Centre to improve teaching standards, raise pupil achievement, and strengthen SMSC provision.